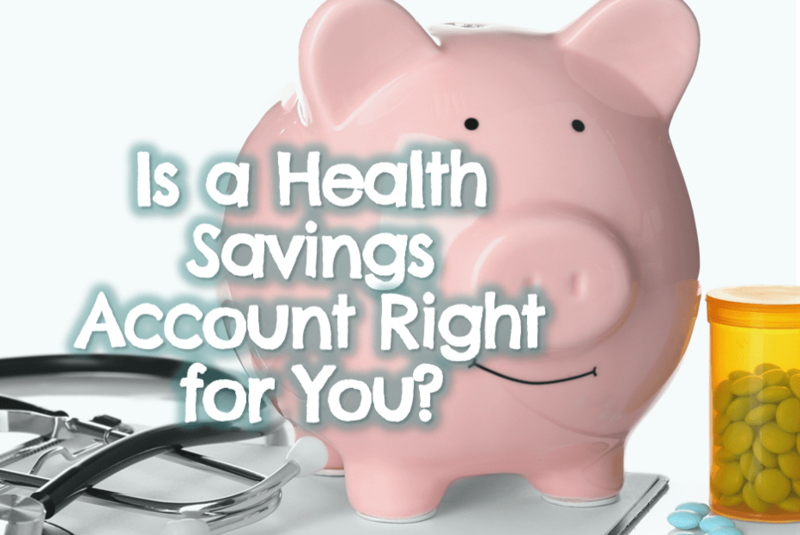 Is a Health Savings Account Right for You? | Good Life. Better. Open season is almost here. Last year at this time, I was still knee-deep in paying off nearly $60,000 in debt but was anticipating the day when I would be completely debt free and ready to max out my contributions to all of my retirement accounts. On the list was my workplace retirement account, of course, as well as a Roth IRA. But I also added a new account I could max out: a Health Savings Account or HSA. A Health Savings Account is a type of tax-advantaged account that lets you put money aside for certain health care expenses (in 2018, you could contribute up to $3,450). What do I mean by tax advantaged? I mean that the money you contribute, earn, and withdraw (if used for a qualified expense), is all tax free. You don’t pay income tax on the money you contribute. You don’t pay tax on any earnings while the money is invested. And, if you are younger than 65 and withdraw money for an eligible expense, you don’t owe taxes then either (if you are over 65, the restriction on what you can spend it on goes away so the money could be used for anything and still be withdrawn penalty free, owing only regular income tax). 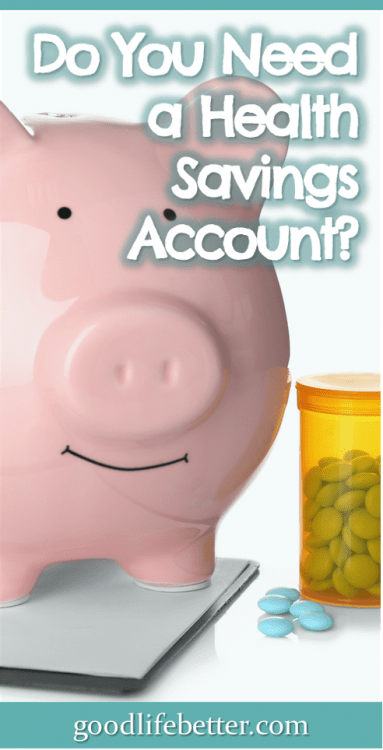 How Do You Get Access to an HSA? You must participate in a high deductible health plan to contribute to an HSA (you also have to be younger than age 65). I have access through my employer but these plans are also available on the individual insurance market. Note: a plan can have a high deductible without being a high deductible health plan so read the fine print. 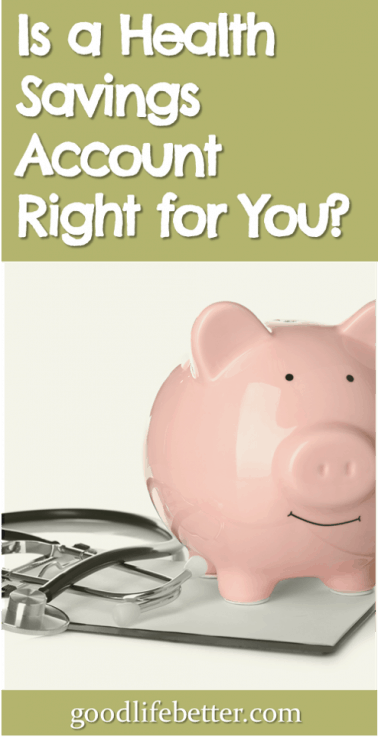 What are the Advantages to Having an HSA? You can look at the advantages of an HSA both from a short-term and a long-term perspective. When I did my analysis, it was with a focus on current year costs and whether the difference would be significant enough to negatively impact accomplishing other savings goals. In my case, my current health insurance company offered a high deductible health plan that was basically identical to my current plan except with a higher deductible. This meant I could focus on front-end costs such as my annual premium and my deductible when I did my comparison. As you can see, the difference between my current year costs if I went with the high deductible health plan option versus the option I had been using was $475. Given the long-term possibilities for growth if I invested the money I contributed to my HSA in low-cost index funds and left it alone, $475 isn’t a huge amount of money. One thing: are you wondering what that $750 credit is labeled “Employer’s Contribution Toward Annual HSA Limit”? To encourage participation in high deductible health plans—based on the assumption that people who use such plans will be more thoughtful consumers of health care and thus ultimately cost the employer less—many offer incentives to encourage their employees to enroll. That $750 is the incentive offered my my employer. This is not unlike the match employers offer to encourage their employees to invest in a 401(k) plan. What are the Disadvantages to Having an HSA? For me, the disadvantages were minimal because $1,500 is still a relatively low deductible, my employer offered the $750 contribution toward the HSA maximum, and, once I met the deductible, the coverage was basically the same as with the other plan. But, this isn’t the case with everyone. Plan coverage after meeting the deductible isn’t great. It’s also required more of my time in that I had to set up an account at the company my employer has a contract with, transfer funds into that account, and then link that account to one of the two brokerages that company works with so I could invest the money. This wasn’t as complicated as it sounds and it didn’t take that much time—maybe an hour in total—but it did take some time. For me, however, seeing my investment growing makes it worthwhile! I Have an FSA—is that the Same Thing? An HSA and an FSA are not the same thing. Like an HSA, an FSA—or Flexible Spending Account—allows you to put aside money pre-tax that you can use for health-related expenses. The similarities end there, however, because the amount you can set aside in an FSA is lower and the time available to use the funds is shorter. In 2018, an individual can save up to $2,650 in an FSA (but you can save less too), and most of those funds must be used to cover health care costs incurred during the calendar year with two exceptions depending on what option your employer offers. The IRS allows your employer to either let you have a grace period of up to 2 ½ additional months to incur expenses (so until mid-March) or carry over $500 into the next year. They can’t do both. My employer used to do the former and while it didn’t stop me from using an FSA, it did mean I would low-ball my estimated expenses to ensure I was able to use up everything I set aside (because if you don’t, you lose whatever is left when the time runs out). A few years ago they switched to the second option and it made planning so much easier! Now, I know I have some wiggle room because I will be able to carry over up to $500 into the next year and won’t have to scramble to spend that money. Other differences include you can’t invest money you contribute to an FSA like you can with an HSA (which makes sense as it is considered a short-term and not a long-term pot of money), and, if I understand the rules correctly, you have to get insurance through an employer who offers an FSA to access one. My Current Insurance Plan is Fine—Why Switch? If you are leaning toward remaining in your current plan, that is completely understandable. When I figured out that my employer didn’t require me to do anything during open season to keep the same plan, that was a great day—another source of anxiety eliminated! However, it may be worth 30 minutes of your time to go in and at least look at any high deductible health plan offered by your employer. As explained above, the difference between my costs for the two plans based on 2018 figures was a whopping $475 because once I hit that deductible, plan benefits were the same. This means that by spending an additional $475 in 2018, I can deposit $3,450 tax free—$750 of which was basically a gift from my employer—that I can invest for growth and carry forward for future health care costs (or, if there is anything left when I reach 65, for any expenses after paying ordinary income tax). That’s a pretty sweet deal! 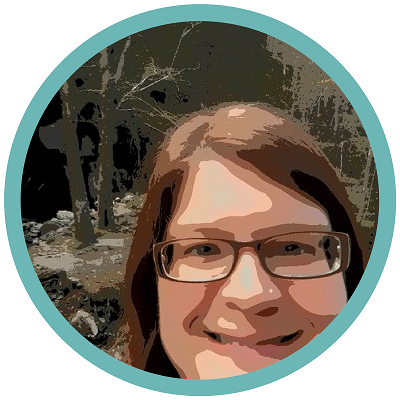 My first year of having a high deductible health plan and contributing to an HSA has been relatively painless but this might not always be the case. A lot of that is due to the arrangement offered by my employer: a $1,500 deductible combined with a $750 contribution to my HSA. What’s been your experience? If you’ve haven’t run the numbers, what’s stopping you? Let me know in the comment section below? Great minds! I just published an article about HSAs today. I was able to convince my boss to provide an HSA option starting January 1, 2018. Yeah, I have a little more expenses up front but from my calculations, even if I max out my deductible, I’ll be ahead with the growth of the investments. You have a good understanding of this stuff and I do it for a living. Thank you! I am a health policy wonk so while I may not fully understand the Roth ladder, this stuff comes naturally to me. Just read your article–great stuff!